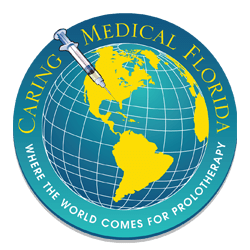 Caring Medical is one of the world’s most experienced Prolotherapy, PRP, and stem cell clinics, specializing in difficult cases that have not responded to traditional conservative treatments or surgery. In this article Ross Hauser, MD discusses chronic ankle sprain treatment, the problems of diagnosing ankle sprains and long-term problems of ankle instability. Non-surgical options including the use of Prolotherapy, Platelet Rich Plasma Therapy, and Stem Cell Therapy as also discussed. 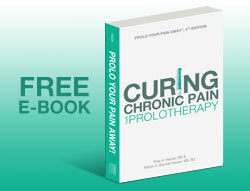 Prolotherapy injection treatments shown to be effective for non-surgical repair. This article deals with various problems of non-resolving, chronically painful groin injuries. Highlights of this article that we will be discussing. Overlooked in the complexity of trying to diagnose groin pain is ligament laxity. Weakened, frayed ligaments that cause instability. 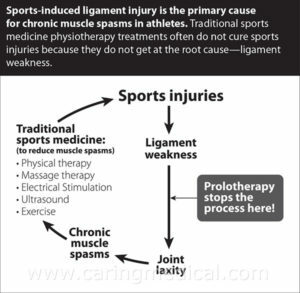 Therefore, physicians experienced in ligament referral patternsshould be consulted in cases of groin pain. Iliolumbar syndrome, iliopsoas injury, pubic symphysis injury, and osteitis pubis can be related to ligament laxity and are common causes of groin pain and can be successfully treated with non-surgical injection therapies. How many rotator cuff surgeries can your arm stand? Research has found that rotator cuff re-tears still represent the most common complication after rotator cuff repair. The problem of re-tear and tears are affected by many factors, but, predominantly, recurrent defects due to non-healing of the rotator cuff tendons have to be distinguished from true re-ruptures, which occur after primary successful surgery. Please read Before you get Rotator Cuff Tear Surgery or are sent to revision surgeries. You can also read about the stem cell therapy option. Chronic groin pain that does not get better with treatments can be an undiagnosed injury to the pubic symphysis joint. Pubic symphysis injuries may occur whenever the legs are stretched far apart as in extending for possession or striking on the soccer pitch, swimming the butterfly stroke, maintaining balance and staying upright in football and hockey. An injury to the pubic symphysis can cause severe groin pain. Learn more about the diagnosis of pubic symphysis diathesis or laxity. 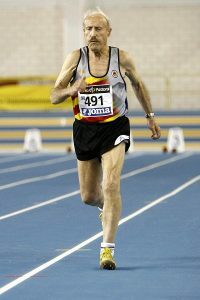 For the aging athlete, the standard treatments for osteoarthritis involve symptom management such as NSAIDS, cortisone shots and even surgery to provide pain relief. The most common surgery is arthroscopy which in numerous medical studies was found to be no more effective than placebo in regard to knee arthritis. In a landmark article published in the medical journal Gerontology researchers found that osteoarthritis starts with ligament damage. Plantar fasciitis is more of a misnomer, since “itis” means inflammation, and most patients who have been diagnosed with plantar fasciitis actually have a weakened, degenerated plantar fascia. True inflamed tissue is hot to the touch, red, and swollen. Thus, the anti-inflammatory treatments do not promote repair and healing of the fascia because most cases of this type of foot pain are not truly inflammatory. In our article on Plantar fasciitis we look Cortisone, Shockwave, PRP, and Prolotherapy treatments and our experience in getting the athlete back on their feet. 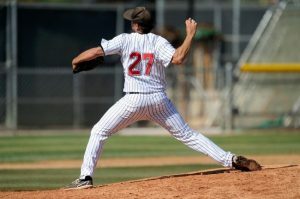 In this article Ross Hauser, MD explains treatment options for various injuries to the hamstrings. For someone with a chronic hamstring problem, telling them that hamstring muscle syndrome or a “pulled hamstring” can be difficult to treat would come as no surprise. The typical difficult to treat hamstring patient may have already been given several traditional conservative treatments, including physiotherapy and nonsteroidal anti-inflammatory drugs, which are both considered inconsistent treatments. This treatment relies on understanding the role of inflammation in healing, inflammation in the role of joint destruction and Regenokine, Orthokine, and autologous conditioned serum injections. Treatments that target the interleukin-1 (IL-1) family immune response to inflammation. We know athletes! Wouldn’t you want to be treated by practitioners who are also active and athletic themselves? 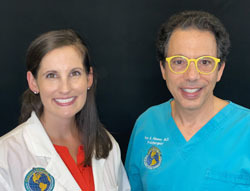 Our Medical Director, Dr. Ross Hauser, has completed five ironman triathlons, loves to run, swim, cycle, play tennis, snow shoe, hike, and be active in all sorts of sports. It was a sports injury that actually allowed him to accomplish his dream of completing an Ironman race because he had to take up other sports while his stress fracture from running healed. 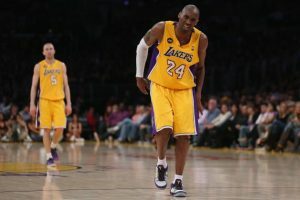 He understands what it means to be side-lined with a sports injury, as he has had many of them himself over the years. Treating athletes is very rewarding because our medical team, can also utilize a comprehensive health approach and help you reach your peak physical performance. 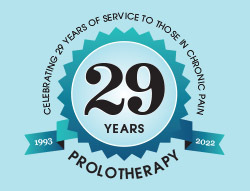 Our practitioners love providing Prolotherapy because it allows you to get back to training within a couple of days and does not involve long recovery periods. We love working with all types of athletes and our goal is the same – to help you get healthier, recover quickly, and get back to doing what you love to do!